If you or your child needs to see an ear doctor, you will find the best possible care and treatment from the physicians at The University of California Irvine Department of Otolaryngology-Head and Neck Surgery. At our office, we provide comprehensive care for patients of all ages and with all types of head, neck, ear, nose and throat issues. What kinds of issues do you see at your office? Every individual in our practice that is designated to work as an ear doctor has the prerequisite skills and qualifications to help in the treatment of a number of ear conditions and disorders. They are capable of treating ear disorders like tinnitus, dizziness, and chronic ear infections. They also diagnose and treat allergies that affect the ears, nose and throat like seasonal rhinitis and hay fever, along with infections like tonsillitis and sinusitis. Other issues that we see patients for typically include injuries, swallowing issues, and sleep disorders like snoring and sleep apnea. Many of our physicians practice in sub-specialty areas such as facial reconstructive and plastic surgery, laryngology, audiology/otology, neurotology, pediatric otolaryngology, and rhinology. What kind of experience do your physicians have? All individuals who attend to our patients have fulfilled the basic education and certification required to serve as an ear doctor. They have gone through certain levels of education, training, and certifications before they qualify as an otolaryngologist. It takes at least 15 years for one to attain the necessary requisite educational qualifications. The undergraduate program takes four years, followed by four years for a medical program, and then specialty training of five years and then one or two years spend in a residency program. They also undergo some peer evaluations, as well as examinations that are both oral and written. This ensures that all our patients get the best diagnosis and eventual treatment whenever they visit our medical practice. Further, the physicians in our group spent a lot of time teaching medical students and physicians who are in training. Their expertise is so well sought after that the lecturers and physicians in our organization are regularly invited to prevent research at the regional, national, and international levels. What are the different areas of expertise? 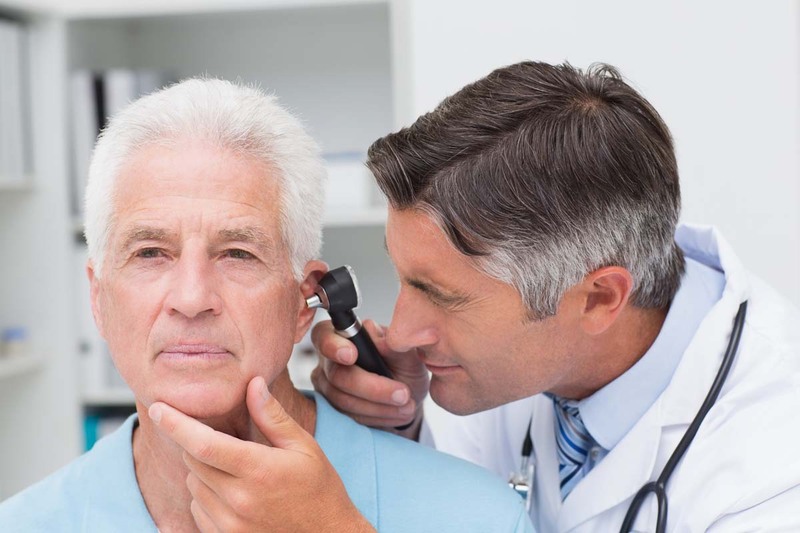 Ear doctors have as many as seven expertise areas in the field of otolaryngology. This makes our practice capable of offering an experienced ear doctor in each and every one of these expertise areas. The treatment of allergies, where a doctor may prescribe medication for treatment or choose to give allergy shots (immunotherapy), as well as offering advice on how to avoid sensitivities that may affect the ear, nose and throat areas. Facial reconstructive and plastic surgery is aimed at treating face abnormalities of the face, ear and neck surgically. Cancerous and non-cancerous tumors that are mostly seen in the neck and head areas are also treated by our physicians. Laryngology is meant to treat throat issues like hoarseness, sore throat, swallowing disorders, and tumors. Otology/neurotology is concerned with the treatment of ear problems that include trauma, hearing loss, tinnitus, benign tumors, and dizziness. Pediatric otolaryngology offers solutions to children who have ear-related diseases. Rhinology is concerned with the treatment of sinuses and nose disorders. Why is it important to see a specialist? A specialized ear doctor is different from other medical physicians because they are trained in medicine and surgery that involves the ear. They are also extensively trained to not only treat ear diseases, conditions, and disorders but also the throat, head, and neck areas. They are able to diagnose and prescribe the best form of treatment method to use on any unique ear, nose, and throat condition. For our hearing impaired patients, we specialize in the provision of state-of-the-art hearing aids. There are many different types of hearing aids, and we have access to any type that would be best for each patient. In order to ensure a perfect fit and a good match between patients and their hearing aids, we perform modern diagnostic testing and custom fitting. For any questions about treatment options, please contact our office. We can provide you with answers to your questions and schedule you for an initial evaluation where you can receive a thorough diagnosis from one of our physicians, followed by a treatment plan that is tailored to your needs. Regardless of your issue, we can work with you to find the best path to comfort and relief from any pain and discomfort.